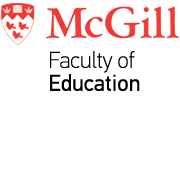 McGill's Faculty of Education is pleased to welcome five new tenure-track professors to our academic ranks this year: Drs. Blane Harvey, Jordan Koch, Joseph Levitan, Caroline Temcheff and Dennis Wendt. Drs. Harvey and Levitan have joined our Department of Integrated Studies in Education (DISE) at the rank of Assistant Professor. Blane Harvey is an interdisciplinary scholar who works across the social and natural sciences on the themes of learning, environmental change and sustainable development. He is a Research Asssociate with the Overseas Development Institute (UK) and the International Institute for Sustainable Development, and received his PhD, Education and International Development, from McGill University. Joseph Levitan is an educational anthropologist who studies interpersonal and affective characteristics of quality leadership, as well as the intersections of learning, social-emotional well-being, and identity development. He co-founded and serves as the Director of Education and Operations at the Sacred Valley Project, and is currently developing and researching a collaborative and culturally grounded learning institution with Indigenous (Quechua) communities in the Peruvian Andes. Jordan Koch, Assistant Professor, joins the Department of Kinesiology and Physical Education (KPE). His research interests include the sociology of sport, cultural studies, sport-for-development programming, ethnographic methods, and critical pedagogy in physical and health education. His research has also involved extensive collaborations with Indigenous communities in both Alberta and Saskatchewan, and also with homeless communities in Edmonton. Caroline Temcheff enters our Department of Educational and Counselling Psychology (ECP) as Associate Professor. Her work attempts to identify pathways and mechanisms which link childhood conduct problems in girls and boys to developmental trajectories of medical service utilization and mental health problems -particularly depression and addiction, from childhood through to early adulthood. Dr. Temcheff is co-founder of the Healthy Development Research Laboratory. Dennis Wendt, is an Assistant Professor with ECP, where his research focuses on partnering with Indigenous communities in exploring, developing, and evaluating culturally-relevant interventions pertaining to mental health, substance use, and community wellness. Dr. Wendt completed his PhD in Clinical Psychology at the University of Michigan, including an APA-accredited internship at the Southwest Consortium in Albuquerque, New Mexico, followed by a postdoctoral research fellowship with the Alcohol and Drug Abuse Institute at the University of Washington in Seattle.